Books About Libraries and Librarians – I don’t know about the first few books on this list, but the real gems are towards the end. Defining The End of the World As We Know It: Apocalyptic vs. Dystopia vs. Spec Fic – Confused about the differences between Apocalyptic and Dystopia? This article explains them. What Job Will You Get In The Harry Potter World? In the Library with the Leadpipe – This is an open-access, peer-reviewed journal. Gender, books, and publishing – This is an extremely well-written post on the subject of gender in regards to the publishing industry, the books themselves, and what can be done to promote gender equality in the world of books. Bill and Bob Present: Daggers Part II – This is a hilarious take on how cover designers come up with the covers for Fantasy books. The Boyfriend and I both nodded our heads frequently while we laughed. The ISBN is for the paperback edition, but I listened to the free audio version from podiobooks.com. I really enjoyed The Coffee Legacy. Each chapter begins with a different coffee recipe, and there’s one in particular that puts any iced mocha you could get in the US to shame. Though she never says it, I will: we’re doing it wrong. I can’t say much more than that without giving away major parts of the story, but most of it takes place in Vienna, Austria, there are some twists and turns scattered throughout, and the climax of it was unexpected. When I first started listening I thought, “How is this Fantasy?”, but that changed within a couple of chapters. I really wish I could say more, but I don’t want to spoil anything. Not even the synopsis on Goodreads (click on the book cover above) or the author’s website, Wiener Blut, gives anything away. If you love Fantasy, coffee, or both, you’ll love The Coffee Legacy! Published on May 19, 2015 May 18, 2015 by Rachelle J.
I received this book from the publisher through Netgalley in exchange for an honest review. I loved Water for Elephants, but when I started At the Water’s Edge, I thought it might end up being a DNF. I hated Ellis, Hank, and Maddie. They’re spoiled American rich kids without a clue about reality and they decide to make a trip to Scotland to get proof of the Loch Ness Monster during WWII. As the story progressed though, I found myself being more and more forgiving of Maddie, who comes off as more naive than anything else, and hating Ellis with a passion. Hank is just an arrogant idiot, but Ellis reminded me of Pete Campbell from “Mad Men”, who reminds me of a supervisor I had many years ago. I had the urge to snarl every time Ellis came into a scene. The story and the setting are what got me past the point of only seeing them as people to be despised, except for Ellis of course, and I was grateful that the story began to focus on Maddie more than the other two. I won’t give away the ending, but I will say that I was happy with it, even if a couple of the events were a bit convenient. This is another solid, quality story from Sara Gruen. The pace, plot, ease of reading, and the development of Maddie’s character all make this book worth reading past the beginning. If you enjoyed Water for Elephants, you love any story that takes place in Scotland or during WWII, or you’re a fan of Historical Fiction, then I’m sure you’ll enjoy this book. This check-in is for May 11th – 17th. Finals, a To-Do list a mile long, and Bout of Books 13 all added up to not getting anywhere near my step goal of averaging 8K per day. I’m making exercising a priority until I start the Summer semester and might be forced to put everything on the back burner again. Published on May 18, 2015 by Rachelle J. 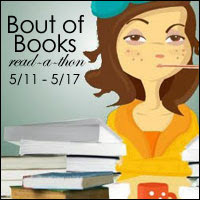 For all Bout of Books information, please visit the Bout of Books blog. Though I didn’t read the books I originally had planned, except for The Sparrow, I did pass my goal of 3 books, and all of them, except for The Hitchhiker’s Guide to the Galaxy, were ones I had been reading at the start of Bout of Books 13. I also read some more of The Fiery Cross by Diana Gabaldon, and I started A Crown for Cold Silver by Alex Marshall. Pages Read: 516 pages and the remaining 34% of The Coffee Legacy. Currently Reading: A Crown for Cold Silver by Alex Marshall, a review book, and The Fiery Cross by Diana Gabaldon. Finished: The Coffee Legacy by Katharina Bordet, which I’ll be reviewing sometime this week, The House of Spirits by Isabel Allende, which I reviewed on Saturday, The Sparrow by Mary Doria Russell, which I’ll be reviewing at some point in the future when I’ve processed all the emotions, and The Hitchhiker’s Guide to the Galaxy by Douglas Adams, which I read for fun. Once Upon a Time IX Progress: 5 out of 5. All I have left is to read “A Midsummer Night’s Dream” by Shakespeare. Show Your Shelves Some Love Progress: 18 out of 51. Outdo Yourself Progress: 30 out of 66. Netgalley/Edelweiss Progress: 9 out of 50. 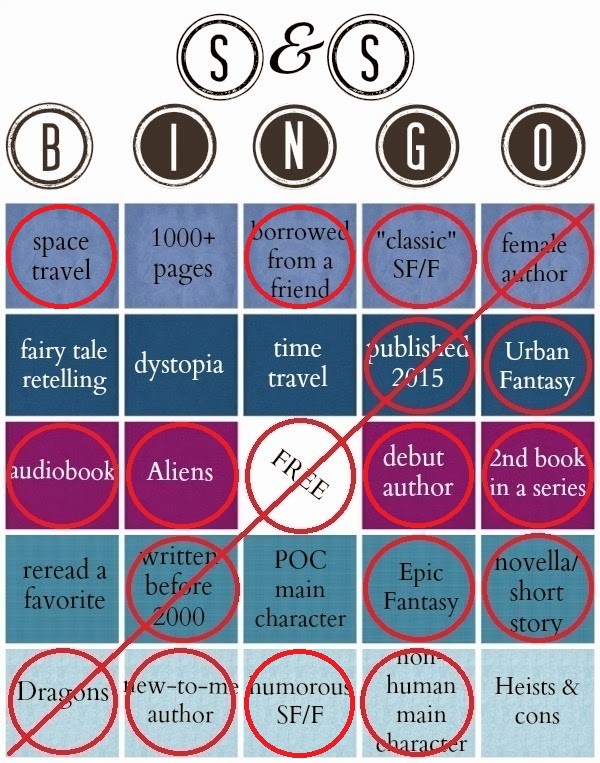 SF/F Bingo: Unless I figure out a new way of rearranging the books I’ve already read, Journey to the Underhill Gates and The Thrones of Fire and Stone by P.J. Owen, as wells as The Coffee Legacy, don’t fit on any of the remaining squares. I put The Sparrow on the “Space Travel” square and The Hitchhiker’s Guide to the Galaxy on the “Humourous SF/F” square. Total pages read for the week: 516 pages and the remaining 34% of The Coffee Legacy. Total # of books for the year: 31. Despite two Finals at the beginning of the week, I finished a lot of the books I had been reading for awhile, and I owe it all to Bout of Books 13. Last Monday, I was supposed to tell all of you the poll results for if I would be allowed to buy The Outlandish Companion, Vol. 2 by Diana Gabaldon, but in my excitement for Bout of Books, I forgot. I’ll be buying the book as soon as I’ve raised enough money from books I’ll be selling to the used bookstore since only one person voted “nay” and everyone else voted “aye”! I’ll be posting an update on how much money I’ve saved up in my #ShelfLove posts every month until I’ve earned enough to buy the book. Thank you, to all of you who voted in the poll! Top Commenters: This week, my Top Commenter was Shaina @ Shaina Reads. 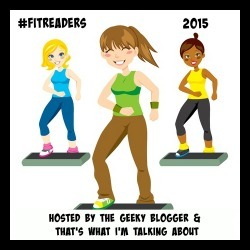 It’s time for COYER again, hosted by Berls @ Fantasy is More Fun and Michelle @ Because Reading. It runs from June 20th – September 4th, 2015 and you can sign up here (or click on the pic)! I have no idea what I’ll be reading, but I’m going to try to finish off as many of my Review books as I can. I also have a ton of FREE ebooks that I’m going to try to get to. Read & review at least 10 books. Participate in at least one Twitter party. Join in at least 1 social media activity a week in the Facebook group. I’ll be putting my updates in my weekly Monday’s Minutes posts. So, what do you say? Will you join me? Published on May 17, 2015 by Rachelle J.
I’m still reading The Hitchhiker’s Guide to the Galaxy, but I spent most of the day feeling cranky. I also didn’t feel like reading much, and instead wanted to do some gaming, but I participated in the Twitter chat before I fired up my XBox. 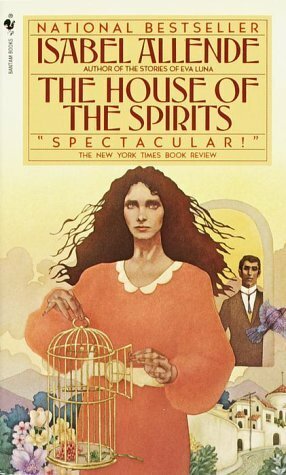 The House of Spirits had been sitting on my TBR shelf for several years. I never had to read it while I was in school, and I bought it at a used bookstore during a time when I was actively collecting the kinds of books that it seemed everyone had read or at least popped up on the top 10, 50, 100 lists of books that must be read by everyone. I’ve already discussed my opinion on those lists before, so I’m not going to repeat myself, but this is one of those books that reinforces that opinion. For those of you who followed the Read-Along, you already know I didn’t care for this book. The read-along is the only reason why I bothered to stick with it. Otherwise, I would have quit in the first week. In a way, I’m glad that I didn’t because otherwise, the only reason I would have had for labeling this a DNF was the magical realism, and I wouldn’t have discovered just how biased this book is. Not liking a book for that reason is considerably better than not liking it just because of my personal reading preferences. This quote made me angrier than at any other time while reading this book. Allende needs to check herself and her bias. As a Veteran, I can say with absolute certainty that the obedience of soldiers is not blind, nor do they “silence the scruples of their hearts” in order to be good soldiers. This quote makes the military out to be full of uncaring automatons, and that’s flat out not true. She is also naive if she believes that a Fascist military dictatorship is worse than a Marxist style of government. There has yet to be a Communist regime in the world that didn’t end up being a violent dictatorship that trampled all over people’s human rights. I understand that this story is a retelling of Chile’s history, but throughout the whole book the implication is that Socialists are better than everyone else. Look up the factual history about Che Guevara and how many people he executed without trial and then tell me a particular political ideology makes people infallible. I also understand that there is a slight difference between Socialism and Communism when put into practice, though both are based on the ideology of Karl Marx, but this book doesn’t really seem to distinguish the two, and the terms “Socialist”, “Marxist”, and “Communist” are used interchangeably. The whole thing comes off as propaganda for an ideology that history has shown isn’t viable and is so far Left that it ends up meeting and shaking hands with its opposite. I’ve read and enjoyed other books by Isabel Allende, but it’s going to be a long time before I read another. This was her very first book, and when it was published in the United States means that, technically, it’s not a Classic, but it also makes me think that is why it became so popular, so quickly, and began to be taught in schools (though not any of the schools I attended). US foreign policy towards Latin America at the time took a stance of supporting anti-Communist governments no matter how horrible they were in regards to human rights, and many people were, understandably, outraged by that. This book and quite a few movies called attention to just how horrible a dictatorship can be. If it weren’t for the quote about soldiers and the obvious bias in favor of Socialism/Communism/Marxism, I probably would have enjoyed this book a bit more, despite the magical realism. Published on May 16, 2015 by Rachelle J.
I’m veering far away from my goal books and reading The Hitchhiker’s Guide to the Galaxy in order to balance out the emotional wreckage that The Sparrow induced. I need laughter. I’m 29 pages into the book so far, and already feeling better.